Though the reporter knew nothing of Harvey’s music, he described her as “quiet and inscrutable, gazing out the window and writing in a journal.” It’s an astute summation of the songwriter’s psyche on The Hope Six Demolition Project, a loose travelogue-in-song informed by visits to D.C., Kosovo, and Afghanistan with the war photographer Seamus Murphy. Over blues- and gospel-inspired rockers, Harvey surveys landscapes of poverty and hope in the outside world with an air that’s more observational than To Bring You My Love-style cathartic. As on 2011’s anti-war song cycle Let England Shake, Harvey is pretty fearlessly committed to staking out new musical ground. Dropping the autoharp for guitars, Hope Six overflows with gospel elements (check the eerie “River Anacostia,” with a callback to the slave spiritual “Wade In The Water”) and occasionally cacophonous saxophone accompaniment. And the material is not subtle in its probing of vast injustice. Like on the preceding album, Harvey brings in outside voices and samples for dramatic effect. In “Dollar, Dollar,” she builds a tapestry of voices around chaotic street chatter and rumbling horns. The track brings us back inside that reporter’s vehicle, meditating on Harvey’s guilt at driving away from a boy begging for money. “The Ministry Of Social Affairs” is much clumsier, with a lurching shuffle that coils around a sample of an old Jerry McCain blues number. 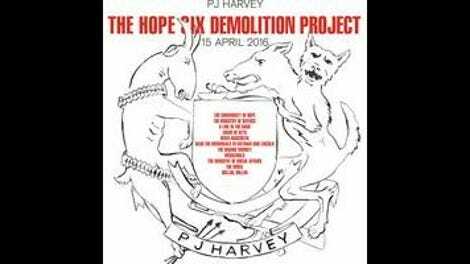 It’s not a “return to rock” (a phrase that probably interests Harvey about as much as “dirt-filled sandwich”), but The Hope Six Demolition Project does contain some of the songwriter’s most guitar-heavy material since the Uh Huh Her days. “Community Of Hope,” with its stomping groove and sharp scene-setting, and “The Ministry Of Defence,” with those staccato guitar blasts that lit up the album trailer, are a strong one-two punch. First single “The Wheel” sets a Kosovo fairground scene to sputtering horns and aggressively strummed guitars. Harvey has long taken interest in the vast terrain of human suffering. 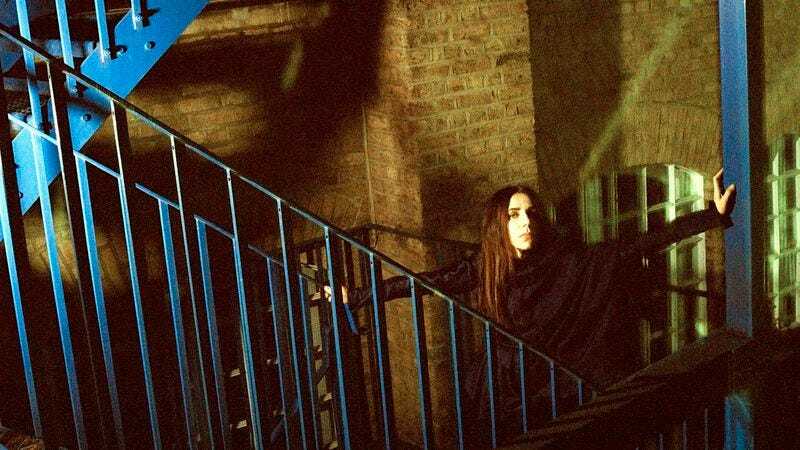 On previous releases, that suffering was primarily hers: “I’ll make you lick my injuries,” she snarled on 1993’s unforgettable “Rid Of Me.” On this album, she takes a backseat—literally—to witness the effects of poverty and displacement on others. It’s another fascinating and uncompromising career achievement, though one that’s necessarily a bit too detached. There’s no snarling, no howls of rage—just dutiful reportage. On “Chain Of Keys,” Harvey spots a hopeless-seeming old woman and accepts the mysteries of this sight. “Imagine what her eyes have seen,” she sings, a chain-gang call-and-response cadence rising behind her. “We ask, but she won’t let us in.” Like those who got to watch Harvey record the album last year in London, we’re all on the outside looking in.